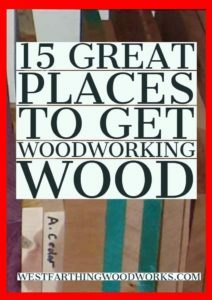 This is 15 Great Places to Get Woodworking Wood. 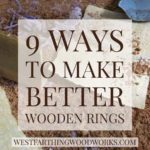 By the end of this post, you will know several common, and several uncommon ways of getting wood for your projects. Some are obvious, some not, and some can even reward you with a lot of free wood. Here they are. 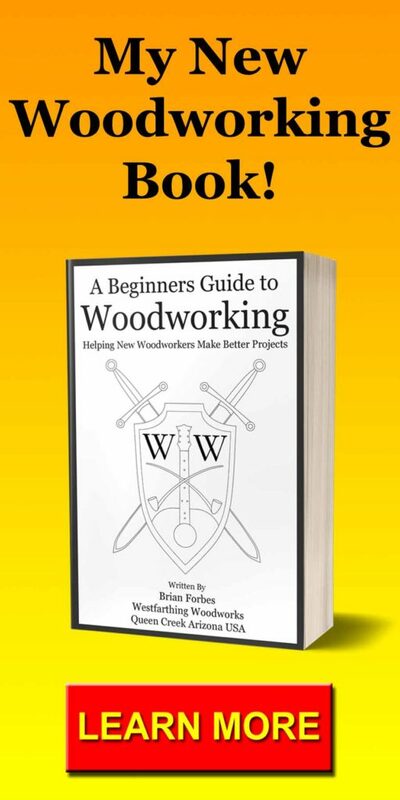 As a woodworker, your number one resource is going to be wood. You cannot create anything without it, so you will use wood all the time. 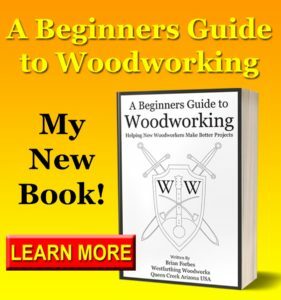 In the beginning it can be an expensive task to purchase everything you need, especially when you may not know of all the places you can get woodworking wood. 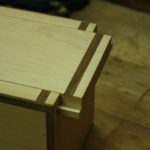 Over time, and through experience, the best woodworkers find little tricks to buying wood that make it easier on the wallet. They also find ways to get wood from alternative sources that are not as obvious. It seems like there is a big box home improvement store in every town. These stores have become a very large part of the marketplace, and they serve the weekend warrior more than the fine woodworker. However, there are opportunities to find woodworking wood in one of these bigger stores. The home improvement store will have a large stock of wood, but the species will be more limited than a dedicated wood store. They will typically carry Pine, Oak, and Poplar, though some carry Maple as well. The wood can be found in common sized pieces and lengths up to 8-12 feet depending on the species. If you need a common species, the home improvement store is a good place to visit, because it will be close, and you can get what you need. The boards can be more expensive sometimes though, so it’s worth shopping around. One of my favorite woods to get from a home improvement store is Pine. It’s inexpensive and easy to work with in the short sticks you can buy for a few dollars. 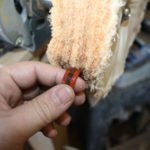 I use these for most small household projects, and it’s easy to pop in and buy a dozen of them. I made my Kitchen Helper Learning Tower using Pine, and them posted a tutorial on how to make it. The local “mom and pop” style hardware store can’t compete with the mega giant stores on the same products, so one of the ways they stand out is by carrying different stuff. If your local hardware store carries wood, chances are they may have something different. Check out your local hardware store, and see what wood they carry. Many times, they will have a small section of wood shorts that you can’t find elsewhere. These are great little pieces to work with, and you won’t find them in the bog box store. You may also find things like appliques, and wooden corbels in a smaller store. Again, this is because it is a more specialized item, and the bigger stores don’t want to waste their time. A small store can be a huge resource for you in this way, because you can get what you need a little faster than ordering online. The nicer woodworking stores and boutique stores that sell tools often carry wood as well. It can range from place to place, but some carry a lot of woodworking wood, and others only a small section. Either way, it’s worth a look. The best reason to buy from a high end woodworking store is that you can find things that you cannot in the other stores. You can also ask about the wood, and the employees (who are also woodworkers) can answer those questions for you. Also, fine woodworking stores tend to carry the types of wood that are more common for the craft like Figured Maple, Mahogany, Cherry, and Teak. They may also carry turning blanks, bowl blanks, pen making wood, and other specialty pieces that you would only find in a store that also sells the tools to make those projects. When it comes to selection, variety, and the sheer beauty of what mother nature has to offer you in woodworking wood, a hardwood store cannot be beat. These are smaller stores, or at least smaller by category, and they stock tons of wood from around the world. The advantage to a dedicated wood store is selection. If you need a dark brown wood, you will find it there. 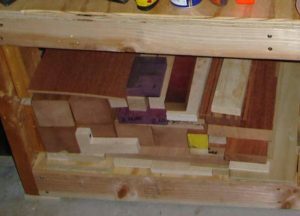 If you need purple wood, red wood, or a piece of Spanish Cedar, you will find it in a wood store. You will also find large pieces of the more common exotics that woodworkers tend to buy the most. If you are looking form something unique, and fun to work with, this is the place that you need to go. 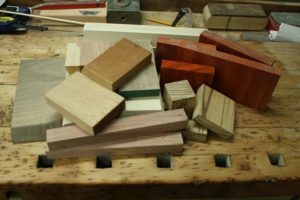 Being new to woodworking, you should plan a visit to a local hardwood store, and plan on spending at least an hour or two just looking around at everything that is available. If you are looking for more construction grade wood, the lumber yard can be a good choice to find project pieces. Though they will not have the selection that other wood places have, they might have things like pressure treated or weather treated wood that the others don’t. Most lumber yards are outside. This means that the wood is exposed to the elements. If that does not matter to the project, then you can find good wood in a lumber yard. You can also find bulk pricing, and deals on larger quantities if you need more than a few sticks. Some lumber yards have an area where they store their shipping wood and crate pieces that they might give you for a deal, and sometimes free if you buy something from them. These salvage pieces can still be useful for making smaller things, or making supports. A big chain hobby store will carry some wood for woodworking, but not a lot. They also only carry a few species depending on the store. However, if you can use this kind of wood for your projects, then you are in the right place. Woodworkers that make doll house furniture sometimes get their smaller piece from a store like this, because they are already milled. People with a smaller tool set can pay a little more an get pieces that do not require expensive tools to process. Most bigger craft stores will carry basswood, balsa, and other lighter, softer woods. These are typically sold for smaller projects, and more crafty projects. If you are looking to make a kitchen cabinet, the hobby store is not the place. Thanks to the internet, you can buy wood from South America while comfortably sitting in front of your computer in Connecticut. The online marketplace has changed the way we do business, and opened up markets that you may not have been able to access before. The only down side to buying online is that you can’t see the actual pieces. You will have to pay shipping too, which can be expensive for bigger pieces. However, when you look online for woodworking wood, you will find a selection that you can’t match. The best pieces to order online are smaller project pieces. When you buy smaller blocks, they are easier to ship, lighter, and less expensive. They also tend to arrive without any added dents and dings. 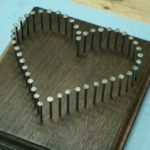 You can find some very unique and high end pieces of wood online if you look around, and you really should have at least one place online that you buy from. Pallets are all the rage right now, and everyone is making things from them. The attraction is both in using something that has been reclaimed, and also getting the materials for free, which significantly lowers the price of the project. Pallets can be found in a number of places, just make sure that you get the right kind. Look for pallets that have not been sprayed with chemicals, and that are not the property of some larger company. Stealing pallets is illegal, no matter what anyone tells you. Pallets are typically made from softer woods and more common woods. You have to take them apart, but you can get a lot of wood from even just one pallet. On some rare occasions, you can even find nicer pieces like Maple, Oak, and Mahogany on pallets. If you are into making reclaimed and rustic projects, you will like working with pallets. Many times, retail stores receive product that is packaged with wood. This can range from crates, to straps, and these are still usable pieces. Most retail stores just throw these in the trash, so this can be a good source. If you use construction grade wood, and plywood,this is typically what the retail stores toss in the trash. Ask to speak to the store manager and see if they will let you have a few pieces for your project. Many times, the don’t care at all, because they are tossing the pieces anyway. Over time, if you develop a relationship with one of these stores, you can find a free source of wood that is almost never ending. The stores are always going to be getting new product, so they will always get more wood. It is very important to always ask before taking anything, even though it may just be trash. It can also help start that relationship. 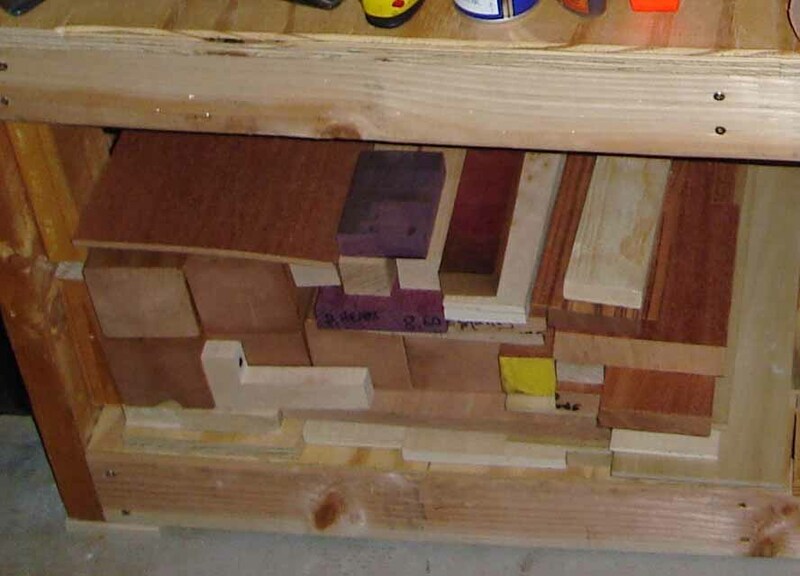 Most hardwood stores, especially those that mill their own pieces, will have a scrap section that you can look through. Sometimes, you can find exotic wood pieces for as little as 10 cents each. This is a great deal, especially for woodworkers that are making smaller items. Check the bin in your local hardwood store frequently. The stock will change a lot, and if you wait too long you can miss out on really interesting pieces. 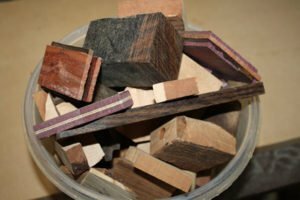 I wrote all about the scrap bin in another post, and I love getting pieces from there when I shop for wood. The nice thing about the scrap bin is that it gives you the chance to work with pieces of wood that you might not otherwise. Sometimes, exotic woods are expensive, so getting a chance to try one for a low price is a huge bonus. If you make smaller things, make sure to get yourself into your local scrap bin. There are factories all around the world that make things from wood. The products can range from furniture to other wooden objects, and they will all have scraps. Some of them sell their scraps to other business, but some might give you a few if you ask. This does require a little leg work, but you can start by looking around in your local area for a place that makes wooden things. One of the best is a furniture making company, because they will have different woods to look through. It does take some time, but for free wood, you might want to take a look. You will run into some people that tell you no, but eventually you might hit on a yes. If you do, it can be a source of free scraps for a long time. There are a lot of second hand stores that sell old furniture. These can be a great source of low priced wood. Older pieces in general tend to be made from better wood, and more solid wood than modern furniture. Look around your area for second hand stores that take in old items. There are typically a few, and you can pay them a visit. Re-purposing old furniture is a bigger business now, so sometimes it can be a little more expensive. However, if you are harvesting wood, you can use things that others cannot. Since you are harvesting boards, you can use pieces that are in a much more broken down state than other people. If you find the right deal, all you need to do is pick it up and saw away the good wood from the bad. Now, you have a lot of wood for a very low price. If you are not above doing a little rummaging, you can find a lot of great woodworking wood in the bulk trash pickup. In nearly every subdivision, they offer the residents a bulk trash pickup about once a month. It’s in your best interest to learn the dates that these collections come to different parts of your town. Start with people that you know, and just ask them. If you ask a couple friends, and your parents or in-laws, you can line up a few dates pretty quick. Over time, expand this to include more friends, and before you know it you will have a full calendar. Get out early, and bring something that you can haul with. The last thing you want to do is arrive and find you have no way to haul home the perfect piece. Start collecting the wooden pieces that you can harvest from or use, and you will have a lot of free wood. It does require some up front effort, but the payoff can be worth far more than the effort. If you are really adventurous, and you know your local laws, you can fell your own wood from a tree like the old masters did. This is a much longer process, and it takes a while to dry the pieces, but it can connect you to the past. You will find much more of an appreciation for the old woodworkers once you have to fell your own tree. It’s kind of like hunting for a meal instead of buying it. Until you have to hunt and prepare your food, you don’t fully appreciate the drive through. The same goes for harvesting wood. If you can find a place that will let you harvest a tree, or you can find public lands that allow you to take dead and downed tree material, you might be able to find some free wood. Even dead wood can be used in rustic woodworking and rustic art. In most subdivisions, the managing company will tend to the trees. Sometimes, they have to cut down several in order to make changes to the landscaping. When this happens, it’s a good time to be a woodworker. I have personally benefited twice from the local subdivision cutting down several Indian Rosewood Trees. 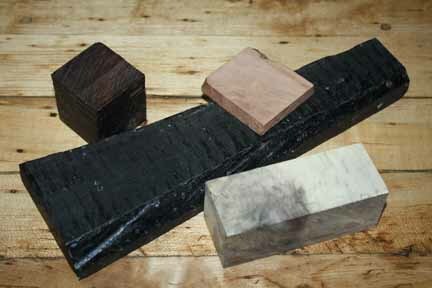 These are great for making furniture, and there are a number of lines that are made completely from this wood. Living in the area, I was able to take some of the logs and dry them. This allowed me to cut away some of the best looking wood to use on projects. The haul was not easy, because the logs were fresh and wet, but the few pieces I got for free were worth it. There you have it, a ton of places to get woodworking wood. Most of the conventional methods are going to be your best bet at first. After that, start looking into the less traveled paths for some of your wood. You might be surprised at what you find. Start out in the stores, then branch out into some of the second hand places and in scrap bins you can find. 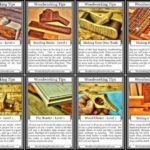 Getting a lot of wood for a low price is a good start, and it can broaden your ability to create a nice looking project. 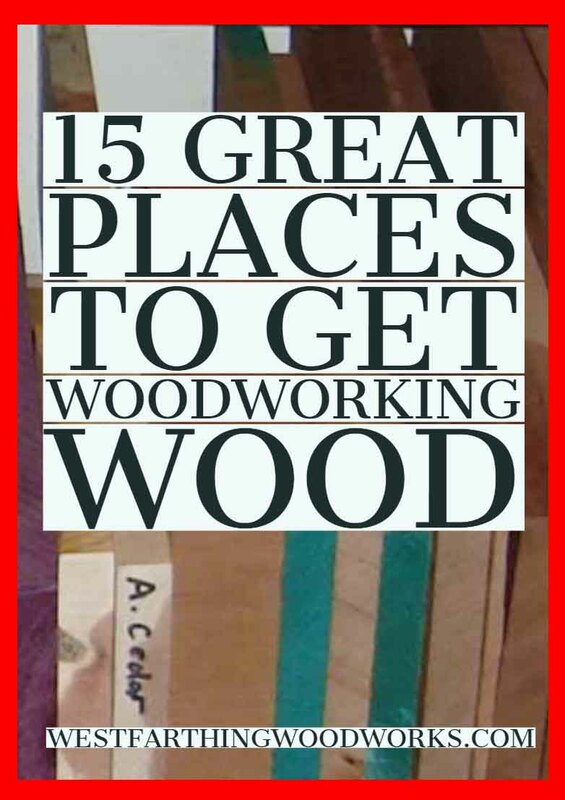 If you have any questions about 15 Great Places to Get Woodworking Wood, please leave a comment and I will be glad to answer them. Lastly, here are the 15 places one more time. Pallets. If you can find a business that receives palleted goods from SE Asia, even Japan & China, the pallet wood can often be very interesting (and very hard) and those pallets do not get shipped back for reuse. You will probably never know the name of the wood. Thank you Norman. I’ve seen some types of wood that you would pay good money for in a woodworking store end up on pallets somehow. You are right though, it’s difficult to identify sometimes, but hard as nails and with a heavy feel too. One man’s trash is another man’s treasure I guess. Happy building. I love salvaging wood from unusual places. My favorite source (and i cant believe i’m even mentioning it out loud) is a high-end window-making shop a couple blocks from my home. They only use mahogany, and being the SF Bay Area, there are tons of old Victorian houses being rehabilitated. Meaning the need for new windows to replace the old, thin ones is immense. The owners of the shop are “artisan-friendly” and leave a huge scrap bin outside. Every night i srive by and grab choice pieces of hardwood to make just about anything. A couple times a year they do a big shop cleaning and throw out the big stuff. Ive found beams of mahogany measuring 8″x 4″ x 8′, enough molding to do my entire apartment. Since discovering this treasure ive literally built every piece of furniture in my home in solid mahogany for free! The only drawback is that you need to mill down most stuff as theres no rhyme or reason to the dimensions of wood youll find, which actually helps improve my problem-solving skills and requires a bit of creativity. Thank you for the comment Dan. That is an absolutely killer way to get free wood. While a gift like that is not something I can see everyone being able to find, it’s well worth looking around, because as you have demonstrated, they do exist. Rare as they may be, if you look around long enough a treasure trove of free wood like that can keep you supplied for a very long time. 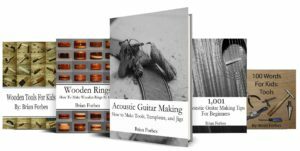 Thank you very much for sharing, and I hope this helps other people to look around and ask some questions. The worst any business is going to say is no, so you might as well ask. Happy building Dan! I live near a cabinet shop and I have been rescuing wood from their dumpsters for over a decade. I must have half a ton of wood (mahogany, pine, redwood, cedar, poplar, oak, ash, etc.) in my garage. I have paid $0 for wood for years, which allows me to charge low low prices for my small furniture (kid’s stools, kitchen step stools, benches, coffee tables). I work with wood mostly for the love of it, and fore the mental challenge of construction, but make a little “walking around money” out my garage on a weekly basis. In fact, I am following your kid’s kitchen helper stool plan this week for a small commission I was asked to do. Thanks for the inspiration! Thank you Richard, I’m glad that I could help. It sounds like you have a lot of free wood on your hands, that’s a gold mine for any woodworker. Enjoy those resources my friend, and happy building.